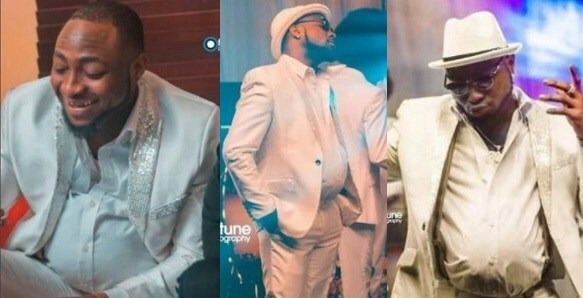 Nigerian multiple Award-winning star, Davido has been spotted dressed up as an old man with a pot belly for his new music video which would be released soon. The transformation photos which took place yesterday has Davido at the scene of the video shoot for his first song of the year ‘Flora My Flawa’ and also had some funny looking costumes. The photos has since got a lot a people of talking online as the singer’s Fans were thrilled at his transformed look which included having a pot belly.